One of the best ways of increasing visitors to your website business is to clearly understand the visitors you currently attract and then use that information to attract more. 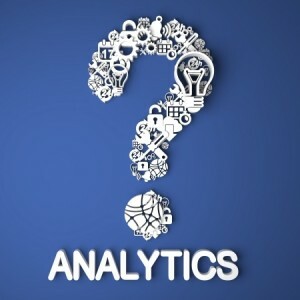 One great way of gaining that information is by using Google Analytics. This simply means placing a defined sample of code on your site. Once installed, Google Analytics collects data continuously and puts the information together in a report every 24 hours. You can therefore view this information on a regular basis to see the effects of marketing efforts or adding content to your website. Visits and Site Usage: lists the number of visits to your site differentiated by number of unique visitors, page views and pages viewed per visit. One feature which new users struggle to understand is the “bounce rate”. This is simply the ratio of visitors who chose to leave the site after viewing just one page. A high bounce rate indicates that visitors do not find your content particularly interesting and therefore you should work to improve site content. Map Overlay: this feature allows you to see from where your visitors originate. There is a drill down facility which also allows you to obtain more detailed statistics. Traffic Sources: this allows you to see if traffic is coming from search engines, directly by users typing in the URL of your site or is being referred from another site. The thing to watch for is that you have a significant proportion of visitors coming from search engines which denotes that your search engine optimization is working effectively. People don’t normally find a site by typing the URL unless the site is very well known. Content Overview: a very useful feature which shows the most popular pages in rank order. These pages are popular for a reason – you just need to discover what the reason is and then use this information to improve other pages. The use of Google Analytics is a great way to increase your traffic for free – but you need to take action on the information! « What is Google Plus and how do I use it? Another key feature of Analytics is to see on what keywords visitors found your website via search engines. Pretty nice post. I just stumbled upon your weblog and wanted to mention that I’ve truly enjoyed surfing around your weblog posts. After all I will be subscribing in your rss feed and I am hoping you write again very soon! I have been browsing online more than three hours today, yet I never found any interesting article like yours Using Google Analytics to Increase Visitors to Your Site | Pingler Blog. It is pretty worth enough for me. In my view, if all website owners and bloggers made good content as you did, the internet will be a lot more useful than ever before.